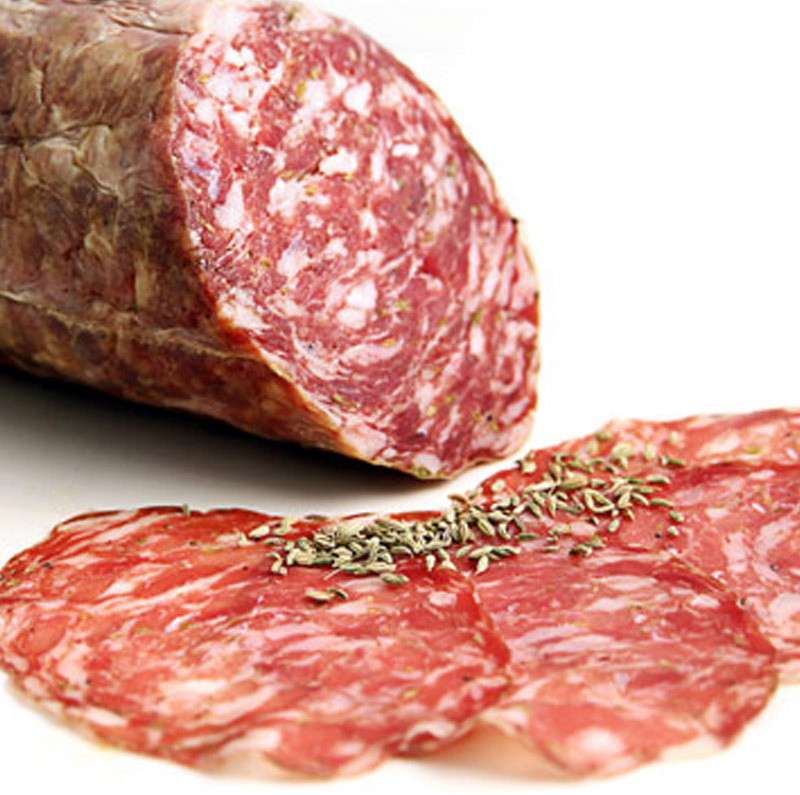 The production area for Finocchiona PGI is within the entire territory of the Tuscany region, excluding the islands, where the entire processing cycle, including slicing and packaging, must take place. It is inextricably linked to Tuscany. Its origins date back to the Middle Ages, when fennel seeds, which were easily found in the fields, were used as a substitute for the rarer and more expensive pepper. Already well-known and appreciated in 15th century Tuscany, both by the general population and in aristocratic circles, it is has been suggested that even Machiavelli was particularly fond of this cold cut. Many historical references to the use of the term “Finocchiona” (in Italian fennel is finocchio) can be found in 19th and 20th century works, such as the mention in the Vocabolario della lingua parlata (1875) or in the Dizionario Pirro Giacchi (1878). The pork cuts selected for the production of Finocchiona PGI are: boneless and defatted shoulder, ham trimmings, rump, collar, lean belly and collar, coppa, belly and flank. Salt, ground pepper, peppercorns, garlic, fennel seeds and/or flowers are added to the cuts. The seasoned pig meat is then diced and minced in a meat grinder. The mince is stuffed into natural or artificial casings, which are then tied with twine or covered in netting made from natural materials. The sausage must not weigh less than 0.5 kg. The product is then dried – a stage during which the dehydration process is more pronounced – at a temperature ranging between 12 and 25°C. The sausage is then cured at a temperature between 11 and 18°C, with a relative humidity of between 65 and 90%, for a period that varies, based on weight, from 15 to 45 days. It has a cylindrical shape and smooth texture. The fat and lean parts, medium-large grain, blend into each other and the fat particles are well distributed, so that the product is soft even after long periods of curing. The colour varies from the deep red of the lean meat, to the white/pinkish-white of the fatty parts, with possible evidence of fennel seeds and flowers. Fresh and appetizing flavour, never acidic, with a characteristic aroma of fennel and a slight hint of garlic. It pairs perfectly with Tuscany red wines, leaving a fresh sensation and aromas on the palate. The optimal matching for Finocchiona is Tuscan bread: an “insipid” bread with almost no salt, because the rapidity of the dripping is enough to balance the low salt content. If you visit Florence ask for Finocchiona PGI with “schiacciata”; if you are in Siena, ask for a “ciaccino” filled with Finocchiona, either on its own or with a slice of semi-ripened Tuscan Pecorino cheese. 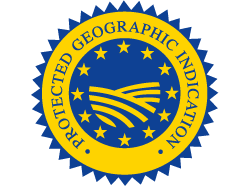 Protected Geographical Indication (PGI) recognized under Regulation EU Regulation 668 of 24.04.2015.